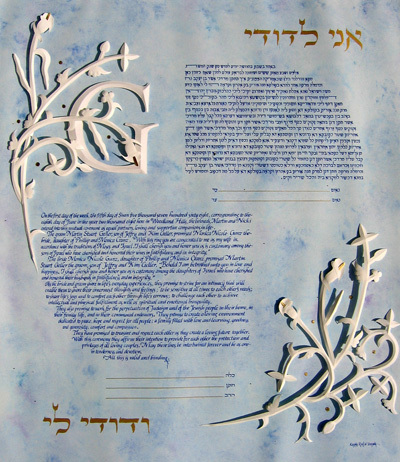 The Orthodox texts in Hebrew and English are written in blue to complement the "blue sky" background. The white 3D Paper-Sculpture illumination create a beautiful contrast and a nice play of the cast shadows. On the top left, between the vines, is the letter "G", the initial of the couple's family name.